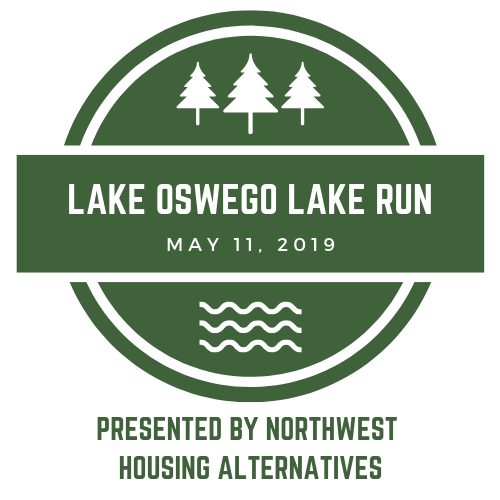 We are very excited to announce that after a successful partnership last year during the Lake Oswego Lake Run, Northwest Housing Alternatives has taken over the run for the years to come! The Lake Oswego Women’s Club, which has headed up the run for the past 42 years, has disbanded and decided to hand the run over to NHA. Read more about the transition here. This year, the run will take place on May 11, 2019, and registration for the 10K, 5K, and Kid’s Dash is now open! In addition, we have launched a brand new website for the run. Like last year, NHA will be incorporating the long-standing spring plant sale into the Lake Run’s Family Fun Festival. We are also hoping to add a few fun elements to the festival including kids’ activities, new partners, and a beer garden. We are so honored to inherit this important community event, and we need your help to make it a success. Are you interested in volunteering? Would your organization like to become a sponsor? Reach out with all your thoughts and questions, and we look forward to seeing you in the spring!